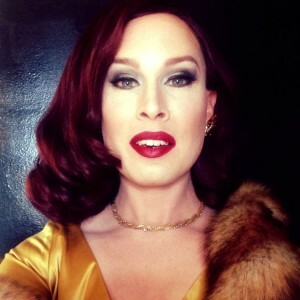 Lana Reigns is this week’s Dragaholic Drag Queen of the Week! 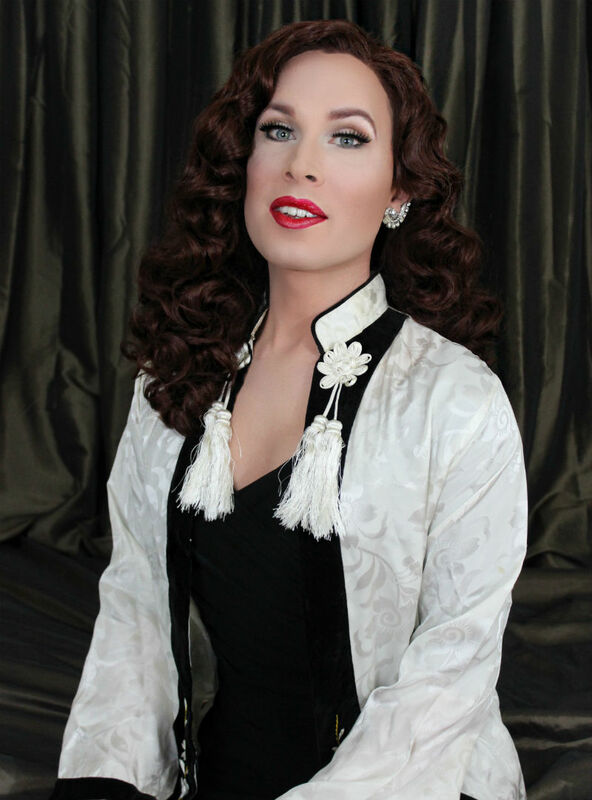 Find out where this vintage drag queen draws her inspiration from and what she plans to accomplish with drag! Lana was born to the illegitimate son of actress Lana Turner and actor Claude Rains. She still lives like it’s 1945, in a world of chiffon and champagne and chandeliers. She is a Southern Belle turned Socialite type, brassy and sassy but always a lady. She is more of a hostess and social fixture, normally just perched in the best spot in the room – seeing and being seen. In performances she prefers songs from the 40’s and 50’s but also vintage renditions of modern songs. Lana’s greatest inspirations are actresses from the golden age of Hollywood – mainly Lana Turner, Rita Hayworth and Bette Davis. What is “drag” to you? I have never really considered myself a “Drag Queen”. I normally refer to myself just as an artist or illusionist. 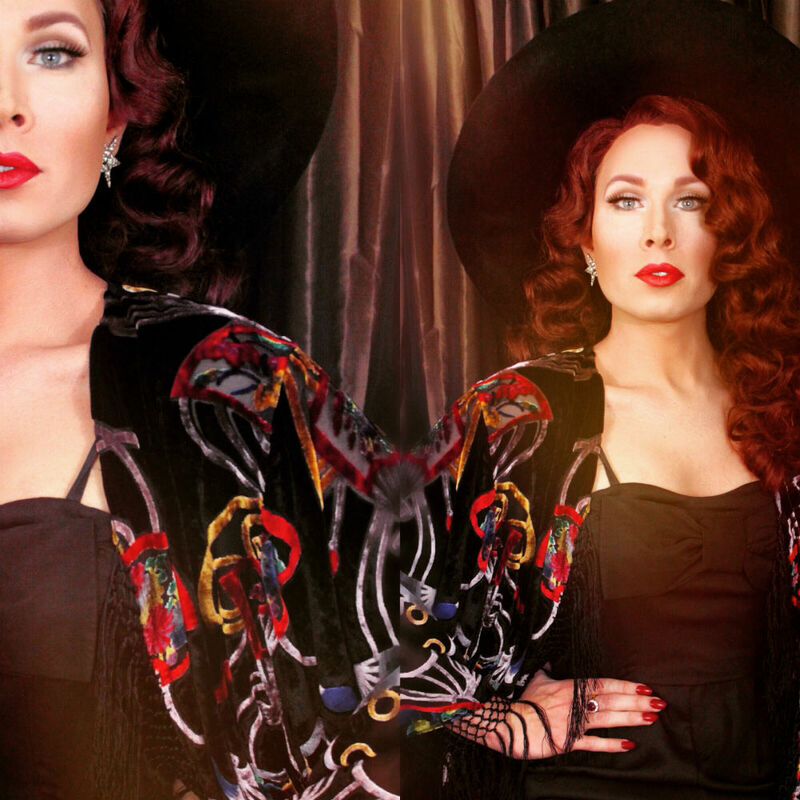 There are many amazing over the top artists making careers out of drag. I have nothing but respect for their hard work and determination. It’s mainly an artistic outlet and an escape for me. Lana is always present, just under my skin, with her red nails clawing to get out. Who are your drag idols? I’ve always looked up to the great drag artists and pageant queens of the past: Charles Pierce, Lypsinka, Erica Andrews, Mimi Marks, Candis Cayne, Tommie Ross, Tandi Andrews and of course RuPaul. Transgender pioneers Caroline Cossey and Christine Jorgensen. There are so many. Do your homework, children. If I had to choose a Drag Race queen, I would say BenDeLaCreme, I envy her positivity. Willam is my guilty pleasure. What is your drag journey? The first encounter that I had with drag was seeing the film “To Wong Foo…” when I was…younger. I had always dressed up and played with dolls but had no idea that it was drag until that film. I was in total awe of the character of Vita and when I saw RuPaul being lowered from the ceiling into a sea of adoring fans I wanted nothing more than to be her. My next major encounter was seeing my first drag show right after graduating high school. It was Knoxville, Tennessee and I was terrified. I moved closer to Nashville right after that and began a relationship that would last 4.5 years, during which drag became a constant 2nd companion. I began going out in “drag” in 2003 and as I look back I miss those times. Covergirl and courage are all you need at that age. As time passed, I dealt with internal struggles regarding my actual gender identity and reached out for help. I joined a local transgender group after receiving a call from one of my idols, Candi Stratton. I will always be grateful to those wonderful individuals, they have made such an impact on who I am today. Through their wisdom and caring, I was eventually able to come to terms with my gender and the dueling characters that make up the person you see before you. I took a brief break from drag after that and in 2013 Lana was reborn and set out for Hollywood. All in all it has been about 11 years now. I am presently working on opening my first vintage boutique this year as well as searching for the perfect platforms in LA for Lana. One would be a recurring hostess/mc for vintage style cocktail lounges or shows. The second is a correspondent for TV/internet/red carpet. Lana fancies herself as a drag Diane Sawyer type these days (or Guyane Sawyer). What do you hope to accomplish by doing drag? My goal has always been first and foremost to be able to express myself creatively. Without that ability I can be the most miserable person you will ever encounter. I also believe in the diversity and the power of drag. I want people to see that drag can be anything that you want it to be. I accept everyone at every stage of their journey. I want to meet everyone and make their stories heard. I want everyone to feel valid and accepted. I’d also like to use my powers to help puppies and after that, of course, I want world peace.